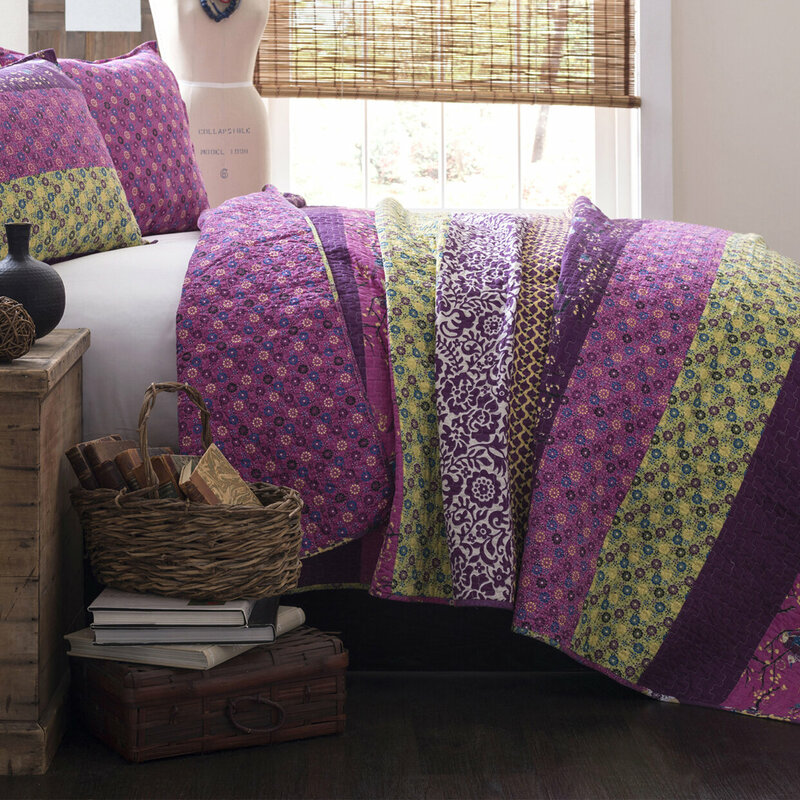 The seasons are chaning and there's nothing like the look and feel of a purple quilted bedding set. What I love about this particular Moroccan purple quilt set is the bold use of the yellow and gold colors throughout the floral print. 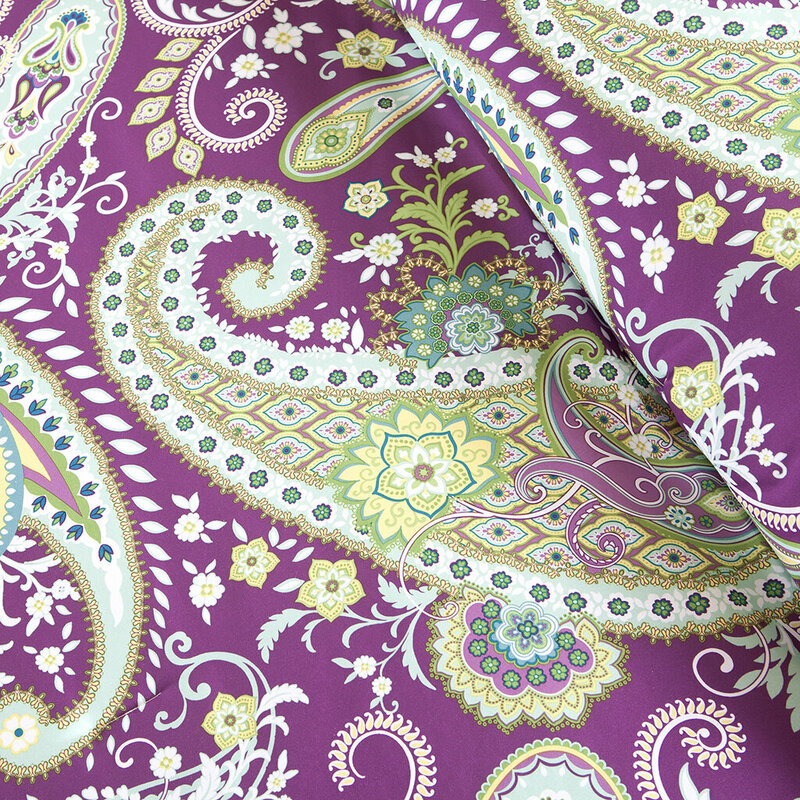 This purple quilt set features a unique design of floral, damask and geometric prints that captivate the eyes. 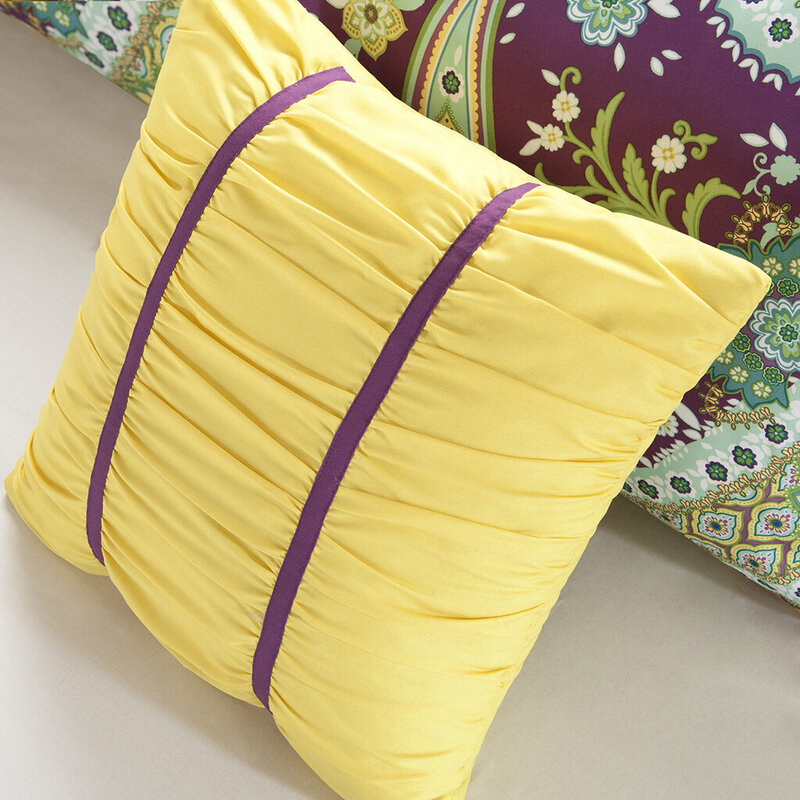 The quilted fabric is made of 100% cotton and the set includes the quilt, shams and the shams. 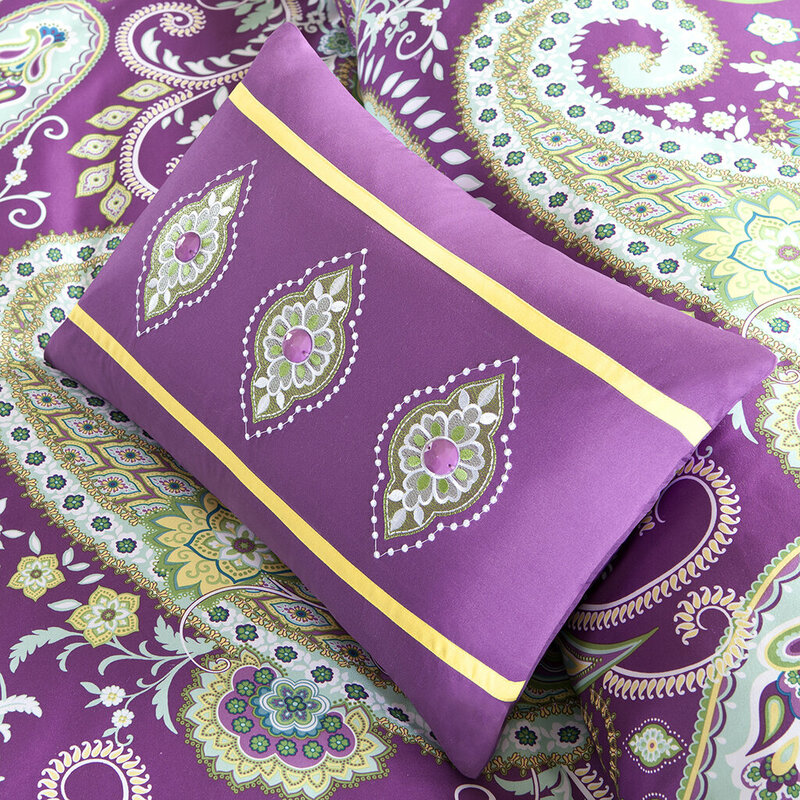 This purple Moroccan themed quilt set is available in Queen size and King size sets.